The Silca viper is one of three electronic machines from Silca designed to duplicate and or cut to code high security automotive keys, the other two are the Triax E-code and the Quattrocode. When the automotive industry came out with higher security “wave” keys, locksmith’s had to diversify their range of machinery to include key cutting equipment that operated on a totally different principal from traditional key cutting machines, to reproduce these keys. These machines are knows as end mill cutters and come in manual and electronic variants. These days there are many different end mill cutters on the market designed to duplicate wave keys, coming from various parts of the globe, from Taiwan to Italy. Silca are one of the market leaders in the locksmith industry and are viewed as innovators, as opposed to companies manufacturing machines out of Asia, which are essentially copies. For this reason Silca has one of the best names amongst professionals in the locksmithing industry, as their machines offer the greatest number of features including adjustable carriage speed, decoding and so much more and with the highest level of precision. Twenty years of experience in design and manufacture contribute to the premium product that is that is the Silca range of electronic key machines, the Viper, Triax E-code and Quattrocode. For the serious locksmith shop that cuts a lot of automotive keys the end milling machine is an absolute must have, as more and more manufacturers are taking the step and using wave keys for better mechanical security. This includes manufacturers that have been using this technology for a while, such as Mercedes, Audi and Holden as well as Ford and Mitsubishi who have adopted track technology more recently. 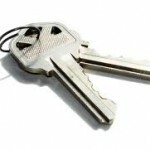 The track keys offer higher mechanical security so make picking the lock more difficult, but not impossible. It can be a timely exercise to pick a track lock. As a result a lot of locksmiths would cut a key to code in a lockout situation, especially on some European vehicles, where air wedges cannot be used. Cutting a key to code is made possible on the manual end milling machines by placing specially designed jigs that map out the spacing and depth. The jig is then placed in the tracer jaw, reproducing that pattern onto the key blank. Reproduction of keys on the manual machines does not produce as fine a key as with the electronic machines, steeper ramps and sharper peaks can sometimes result and in some cases it can lead to the key being a little rough when inserted into the lock. The electronic end mill cutters from Silca are rugged machines designed to produce high security automotive keys by duplication or to code. 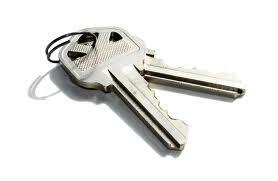 If a customer wants a key duplicated the electronic machines can decode the customer’s pattern key. The pattern key needs to be placed into the left jaw so that the machine can read the cuts with a high tech tracer. The Viper is a stand-alone model and does not need cuing from insta code; all electronic functions are available through the onboard keypad. To duplicate key the locksmith simply needs to select the key blank from the onboard LCD display and the machine does then decodes the original. The Silca electronic machines can also be used to create a “factory spec” key. For example if the pattern key is worn the machine will tell the locksmith how worn each cut, the locksmith can then choose to produce the new key to factory specification by entering the bitting and cutting it to code. 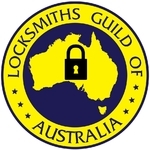 Using this technology, the locksmith is not limited to straight duplication as the locksmith can now offer the customer a factory spec or “new” key.